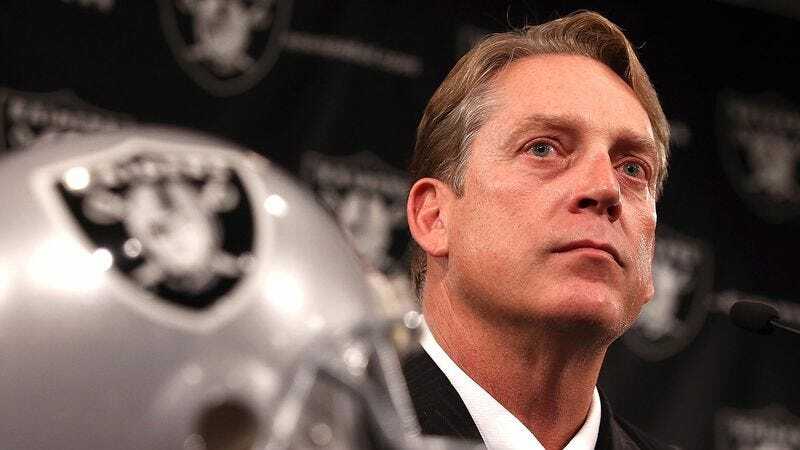 CHICAGO—Noting that it would be a swift departure from the organization’s past draft strategy, sources within the Oakland Raiders front office confirmed Thursday that the team is considering taking a chance on an NFL prospect with no off-field incidents. “The Raiders are indeed looking at selecting a young wide receiver despite being fully aware of the zero red flags regarding his character and attitude,” said ESPN analyst Adam Schefter, adding that, given the player’s clean criminal record and unblemished public reputation, Raiders coaches and scouts invited him to numerous face-to-face meetings this week in order to determine whether he would ultimately be a good fit for the team. “There are actually a few guys in this year’s draft who are undeniably talented and would address Oakland’s needs, but have no prior history of arrests or off-field issues, so it will be interesting to see whether the Raiders end up gambling on them or not.” At press time, the Raiders have reportedly opted to hedge their bets and wait to see if the player is still available in the draft’s later rounds.